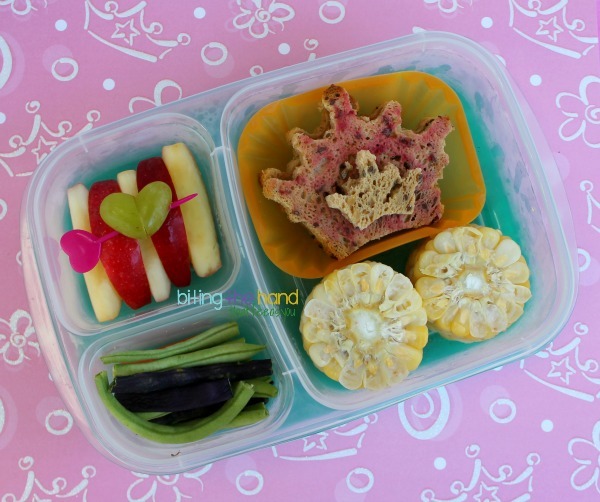 Biting The Hand That Feeds You: Lunches Fit For A Princess! 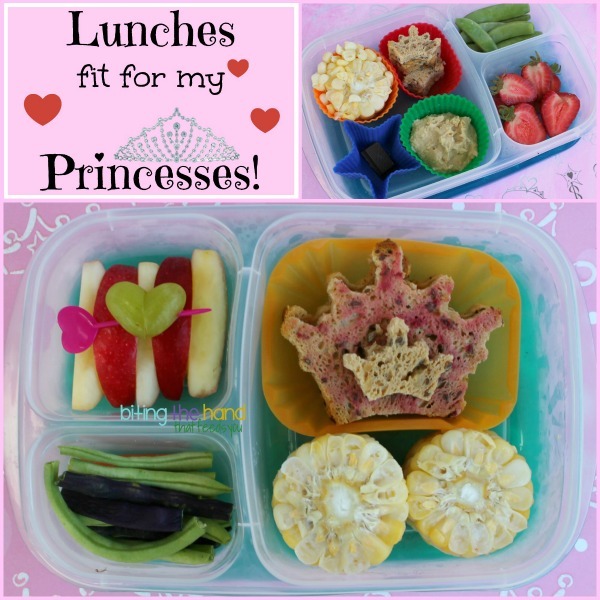 Lunches Fit For A Princess! Tuesday, 9/10/13 - I didn't really have anything planned, and my crown cookie cutter set jumped out and said "use me!" So I made lunches fit for my little princesses! I made a heart out of a halved grape and secured it with a heart cupcake pick. Finally! I remembered a heart in Z's lunch! For the pink sandwich, instead of messing with food coloring and paint brushes, I just rubbed the cut side of a beet around on the bread. I had one lonely unpaired mini crown cut from E's bread, so I stuck it on with some more peanut butter, as a decoration. I love how the wheels of corn on the cob make the rectangle cup look like a coach. It does look like a coach! 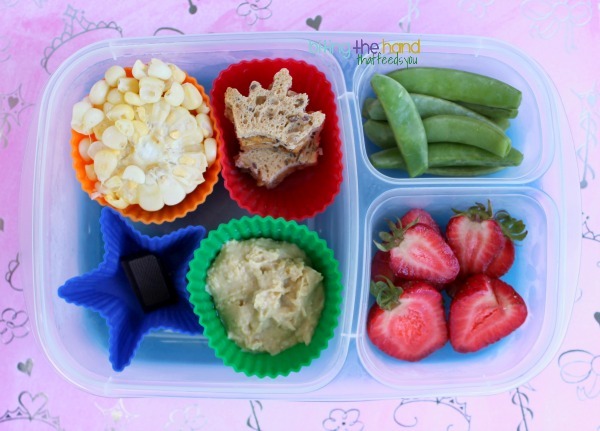 Cute lunches for your little cuties!